When it comes to craigslist advertisements, I like to fancy of myself a bit like a shark cruising around in the surf. When I smell blood, I'll snap my dorsal fin to attention and start the hunt. And nothing screams pelican swimming around with a busted wing in shallow water like a car with shifter that has busted loose from something. 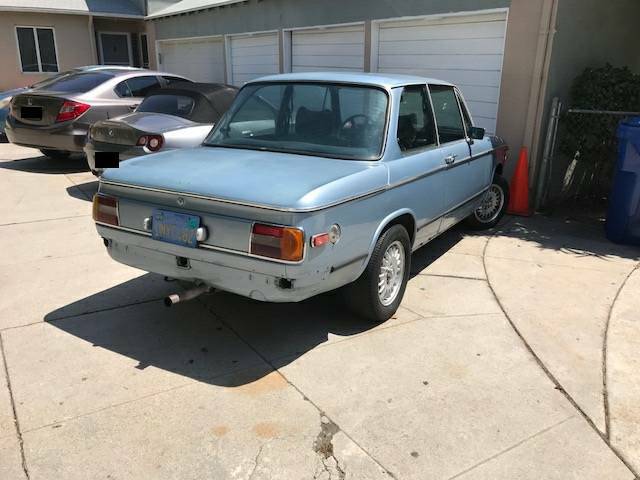 Find this 1975 BMW 2002 offered for $8,000 in Highland Park, CA via craigslist. 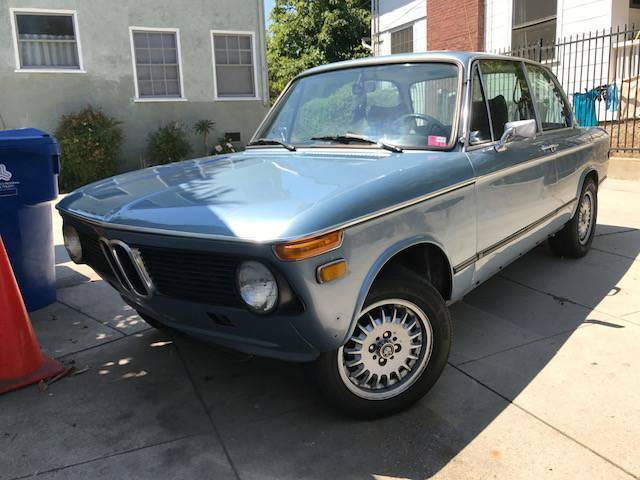 For a sub $10k BMW 2002 this thing has a few things going for it -- first it has a manual gearbox, next the engine bay is clean, and the paint is nice, and the interior isn't gutted, AC works -- the only thing wrong is a shifter that has some unknown issues and a busted sunroof. Slap some early bumpers on this guy and go driving. Hmmm.... my '72 02 was Baikal Blue, one of my favorite ole beemer colors. This sort of looks like the color. Lots of little things stand out. The condition of the dash and the water damage on the headliner coupled with the neglected/damaged center console, the absence of the original aircleaner box says to me that the car has been neglected in the past and maybe rescued/flipped by this seller....maybe repainted?. Who wouldnt go to the trouble to reattach the shifter before selling it? Makes no sense.............especially when you want 8 grand for a car that looks like somebody beat the bejesus ut of it before the repaint...I'm guessing if this shark took a bite he might get more than he bargained for.